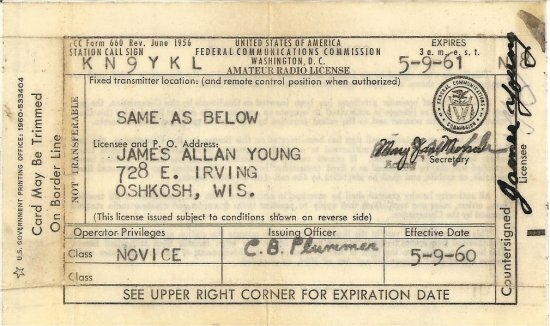 OP: Jim, licensed since 1960. 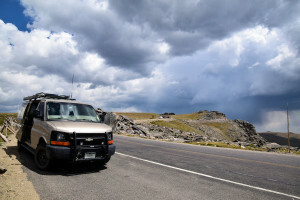 Current license, Extra Class.QTH: DXCC Entity ~ USA; State ~ CO; County ~ Grand; Grid ~ DN70. QTH Elevation 9000 ft.The Station: IC-7410 and IC-820H trancievers, with W9GR & Timewave DSPs, an LDG autotuner, an MFJ keyer, and a homebrew audio system with digital recorder. 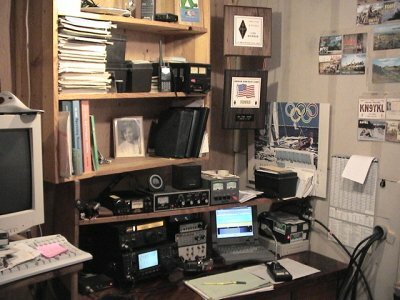 The accessories are a Heil headset, an Icom desk mic, Bencher paddles & ancient Speed-X key. The digital interface is a RIGblaster Plus II, connected to an HP DV4 laptop running Win 7, dedicated to radio duty. 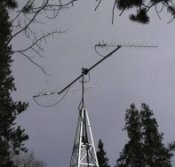 The Antenna Farm: A Gap Eagle vertical, most used on 20m and up. Primary low band antenna is a ladder-line fed EDZ* cut for 40m (works all HF bands). The other wire is a 12m vertical EDZ For satellites, the is a pair of M-squared Eggbeaters for 2m and 432mHz for tuning and listening, and an M-sq. pair of cross-polarized yagis, an 2mcp14 & a 435cp30 with Yaesu Az/El control and TAPR auto-tracking interface. *EDZ: Extended Double-Zepp – a center-fed antenna, each side .64-wavelength long, produces approx. 3 DBd gain broadside at design frequency. When fed with coax, it can typically be used on adjacent bands with a modern rig’s autotuner, when fed with 450-ohm ladder line thru an external tuner, it is a very good antenna on all bands above, and typically down to 2 bands below, the design frequency. This 40m version is approximately 166 ft long, averaging 50 ft high. NEW Nov 2014 – finished just in time to beat the first big snow, a dedicated 30m vertical made from a 3″ diam/3/16″ wall aluminum tube with a dozen #6 copper radials, and a full-size (280 ft) 80m loop fed with ladder line through a 4:1 balun and then coax into the house to the LDG tuner. NEW 2017 – retired the 40m EDZ by lengthening the wires to end up with a full 160m dipole, still fed with ladder line so it is a multiband antenna. 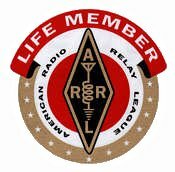 Memberships: ARRL (life), AMSAT, INDEXA, OMISS (#4172), 3905CC (40m #2007, 75m #2250, 160m #252), 10-10 (#62973), SKCC (#5239). QSL Info: LoTW preferred, DX via Bureau, Direct with SASE please. Working Park units from home, and going on the road activating units from the van, equipped with an IC 746, Diamond 20m mobile vertical, with power from a Goal Zero Yeti 400 + Nomad 20 solar panels. Home is close to Rocky Mountain National Park, so that was a regular, a favorite is Dinosaur National Monument on the CO/UT line, and others included Arches, Canyonlands, CO National Monument, Great Sand Dunes, and others. with thanks to my Elmers, Gene/K9GNE (SK) and Nile/W9ZGJ (SK). 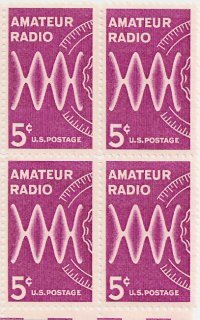 Current license: Amateur Extra (the 20-wpm variety), expires 11 May 2023.